Barry Bonds PED obstruction of justice conviction overturned. 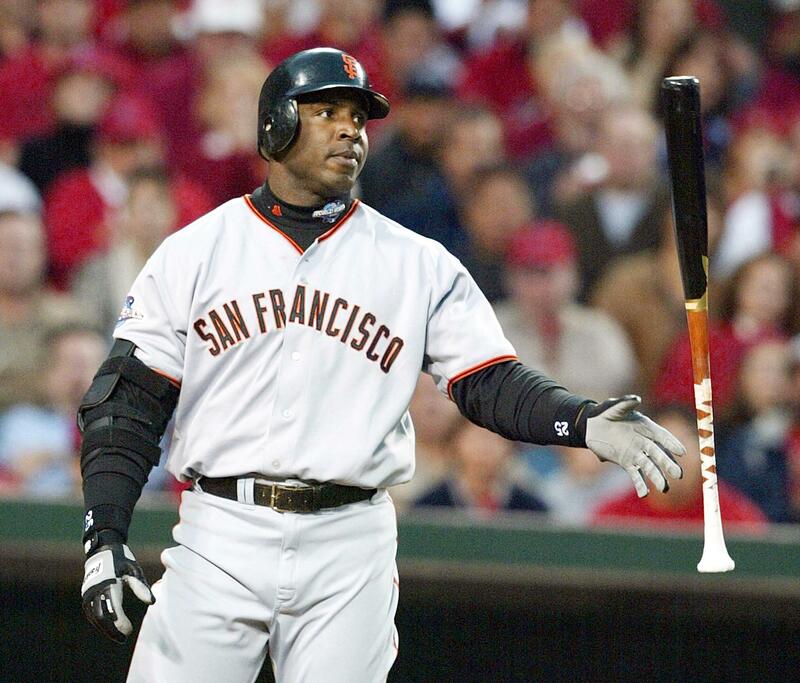 San Francisco Giants slugger Barry Bonds during Game 6 of the 2002 World Series. A federal appeals court on Wednesday overturned Barry Bonds’ obstruction of justice felony conviction related to performance enhancing drugs, undoing the only criminal conviction to come from the years-long investigation of the former slugger. The 2011 conviction grew out of answers Bonds gave to a grand jury in 2003.